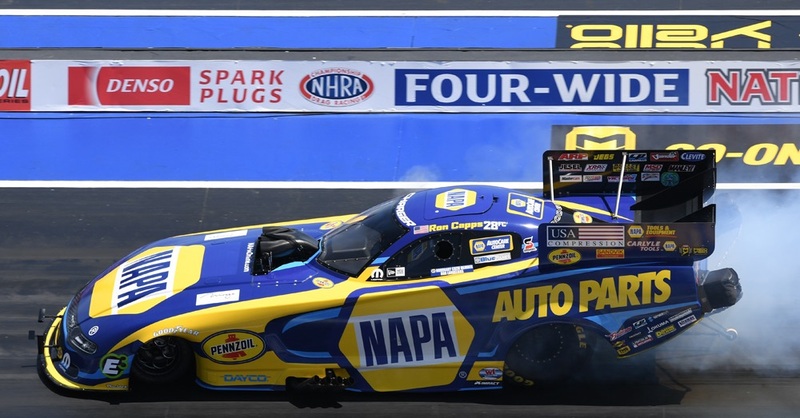 Ron Capps was stopped from advancing to the semifinals for only the third time in 12 NHRA Mello Yello Drag Racing Series events this season when he lost in the quarterfinals Sunday in the Summit Nationals at Norwalk, Ohio. 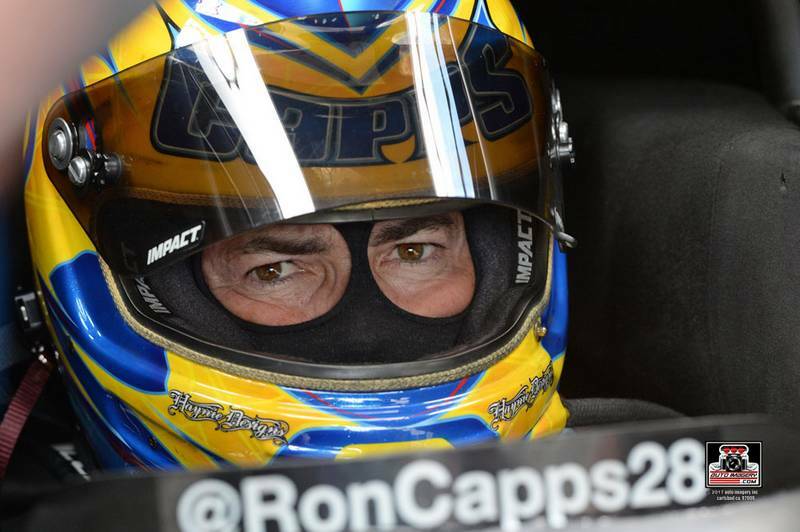 He holds a 149-point lead in the championship standings. 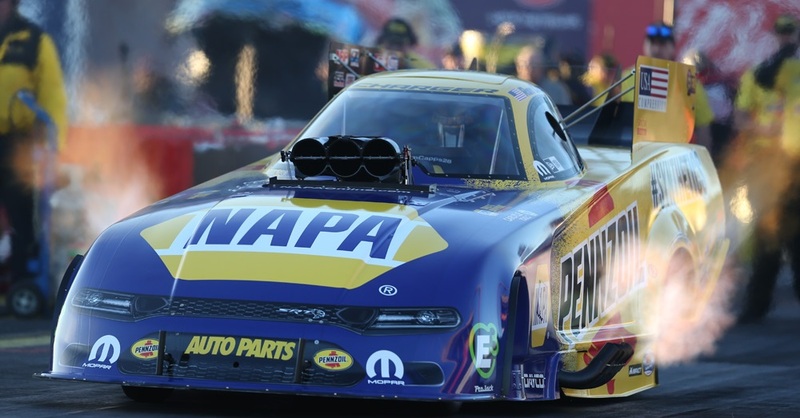 The week started with great news for Capps that he had been nominated for the prestigious ESPY Best Driver Award that will be presented on July 12 in Hollywood. 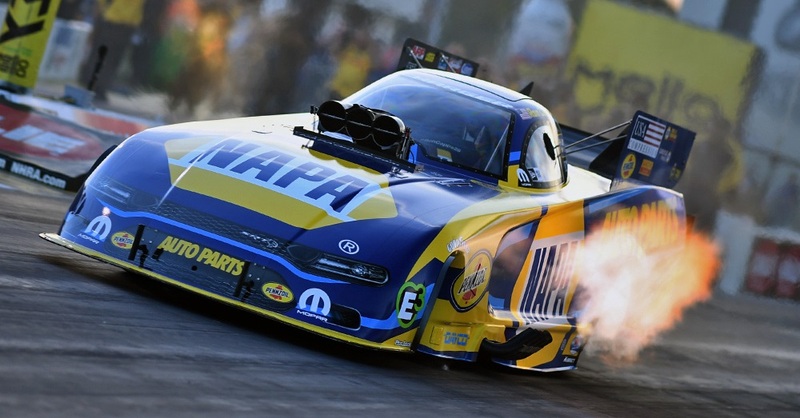 But after his worst qualifying performance of the year, despite not having his choice of lanes in the first round as the No. 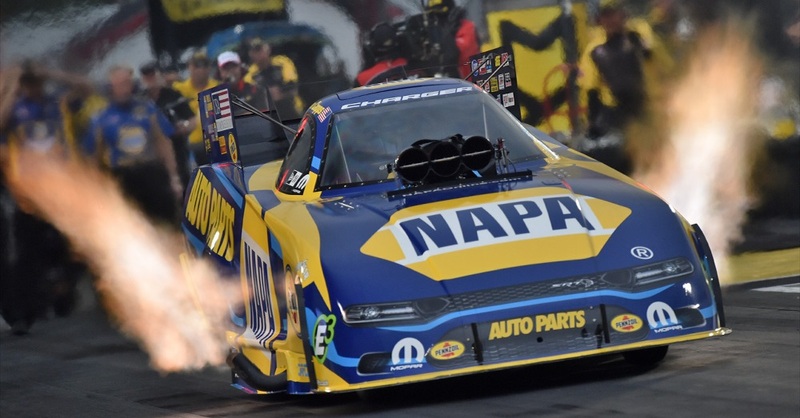 13 seed, the NAPA AUTO PARTS Dodge Charger R/T team produced its best run of the weekend to that point (3.993 seconds at 310.27 mph) to upset No. 4 qualified Jonnie Lindberg. 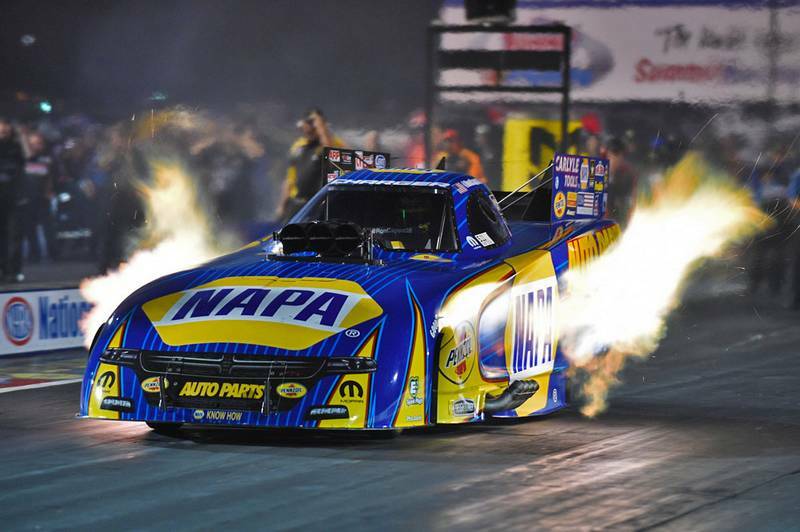 Capps with crew chief Rahn Tobler were quicker (3.965) and faster (324.83) in the quarterfinals, but Don Schumacher Racing teammate Tommy Johnson Jr. and the Make-A-Wish team were a little better (3.960) and stopped the NAPA Dodge from advancing to the semifinals for ninth time in 12 NHRA Mello Yello Drag Racing Series events. 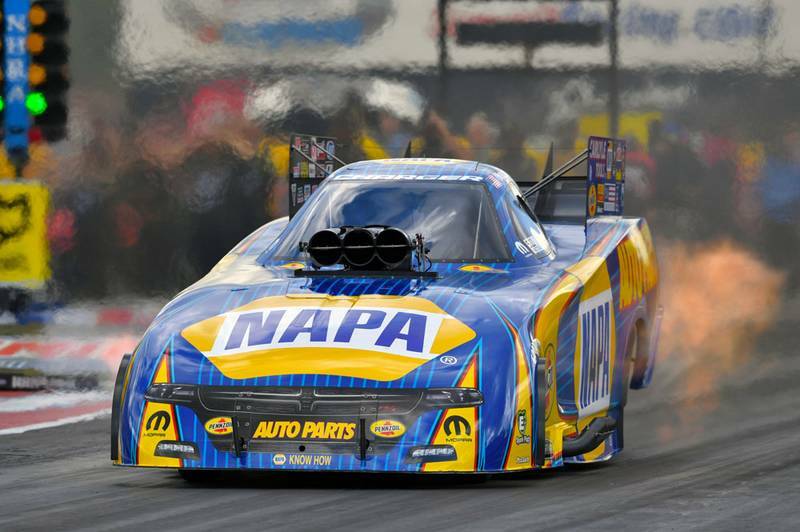 Second-ranked Matt Hagan, another DSR driver, also lost in the quarterfinals but his much better qualifying performance enabled to trim 14 points off Capps’ lead to 149. 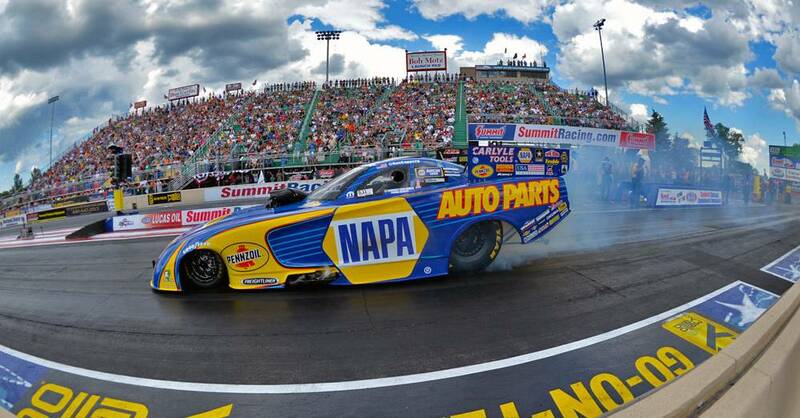 A week ago, the NAPA Dodge qualified 10th for the 16-car field but won four times on Sunday to earn the title at Bristol, Tenn.
Norwalk was the last of four events in June. 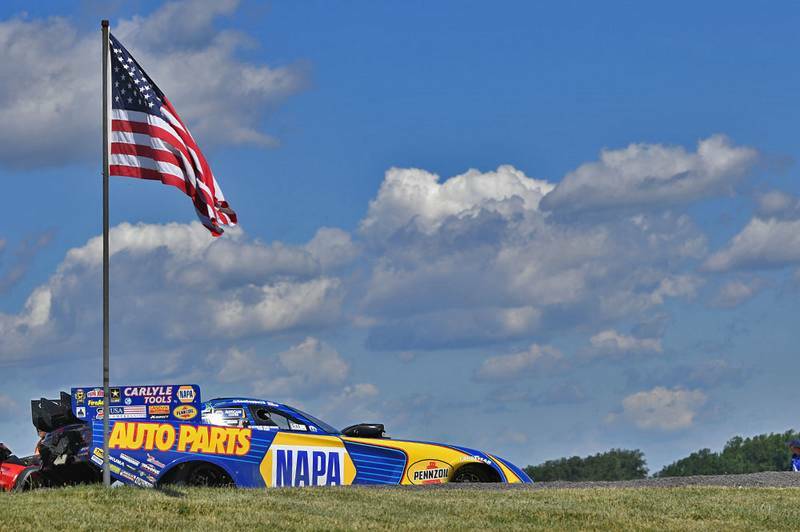 The Mello Yello Series is off next weekend then resumes July 7-9 at Route 66 Raceway near Chicago. Start / Finish: Qualified No. 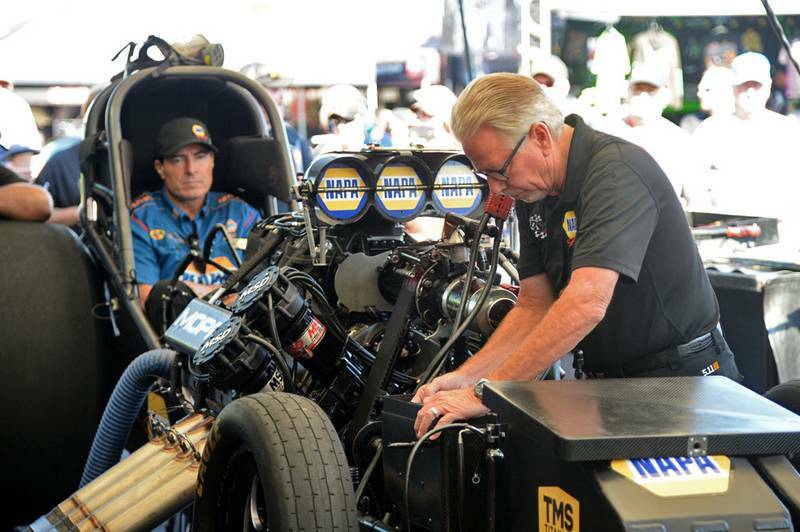 13 / lost in quarterfinals to DSR teammate Tommy Johnson Jr.
Next Race: July 7-9, NHRA Route 66 Nationals, Joliet, Ill.